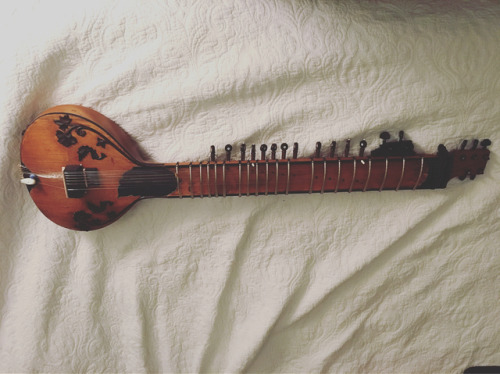 My new custom travel sitar courtesy of Mohammad Waseem (Moran, India). Love the compact size and very playable. Acoustically, it’s not as deep as my Barun Roy, but amplified it’s very balanced. Excited to try this out on tour!